For my fellow Central Florida residents who know about Tibby’s New Orleans Kitchen, here’s a great coupon for you. 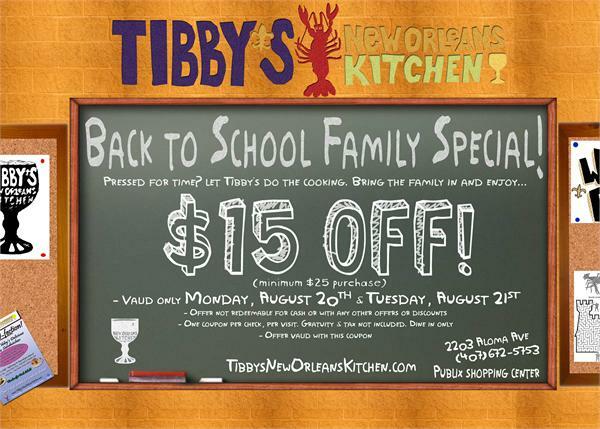 Tibby’s is celebrating back-to-school with a $15 off $25 purchase coupon. Coupon is valid on Monday August 20, and Tuesday August 21, 2012 only. Print your Tibby’s coupon here.